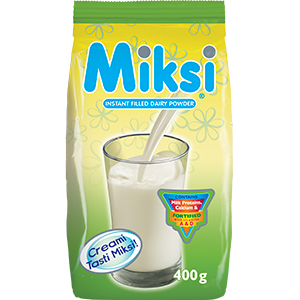 Miksi is an instant, fat-filled milk powder with a marginally higher fat content, which delivers a creamy taste and contains all the calcium, proteins and vitamins essential for the proper development of growing children. 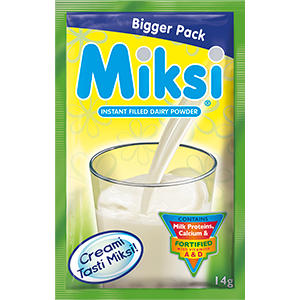 Made using the finest skimmed cows’ milk and vegetable fat, Miksi has a longer shelf life and is rich in calcium, protein, vitamins and minerals. We care about what our valued customers have to say, so please feel free to get in touch with our customer care centre with any valuable feedback or for updates on our products and exciting competitions you can enter. 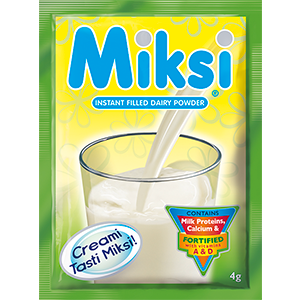 Miksi fat-filled milk powder has also been enriched with vitamins A and D to ensure optimal nutritional benefits.